Blizzard is apologizing for technical issues that delayed some needed Diablo 3 hotfixes with a double XP weekend that starts tomorrow. 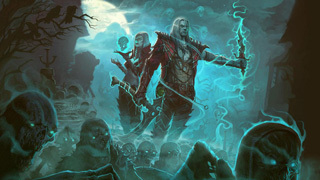 Due to some technical issues, Blizzard wasn't able to roll out a couple of much-needed hotfixes to Diablo 3 last week. The fixes were to buff the Bones of Rathma, and to fix a glitch that allowed Greater Nephalem Rifts to be cleared very quickly by parties with Demon Hunters and Necromancers. Blizzard has rolled out those hotfixes, and is rolling back Legendary Gems to keep things in check. According to a post from Diablo 3 Community Manager Nevalistis on the official forums, Blizzard will be "rolling back Legendary Gem levels to the maximum gem level that would have been legitimately achievable prior to the patch going live." That doesn't mean there won't be more actions taken against offending accounts, as the post says, "As with all previous exploits, any additional actions we may take will not be discussed outside of our staff and offending individuals." To show its appreciation for the patience the community displayed while this issue was addressed, Blizzard says it "will be holding a double XP weekend starting Friday, July 14 at 5 p.m. PT and ending Monday, July 17 at 10 a.m. PT." That's 8 PM ET tomorrow through 1 PM ET Monday. While the response from the community to this announcement hasn't exactly been positive (seriously, read some of these responses), it's worth noting that this approach is pretty much standard for Blizzard. Its reps typically do not discuss any sort of bans or other account actions publicly, so it's no surprise to see that be the case here. All that said, if you've been looking for a reason to spend some time in Diablo 3, or you wanted an incentive to level that Necromancer, here's your shot. With Adventure mode unlocked, double xp seems unnecessary, especially when powerleveling others is so easy. I'm also a veteran player who can craft a full set of Cain's, a max level ruby in my helmet, and a Gem of Ease. I think I made it to 50 in one rift once. Just levelling a character to 70 is pretty trivial, only real incentive here is grinding paragon levels. Aye, and I'm well into the 700's offseason. On-season, I'd be more interested by this.